STI on 24 mar 2014 finally breakouts from 3100 after a week consolidation between 3050 to 3100, Last Friday 28 Mar 2014, STI approaching its upper channel resistance measured from recent low from 2953 recorded on 04 Feb 2014. 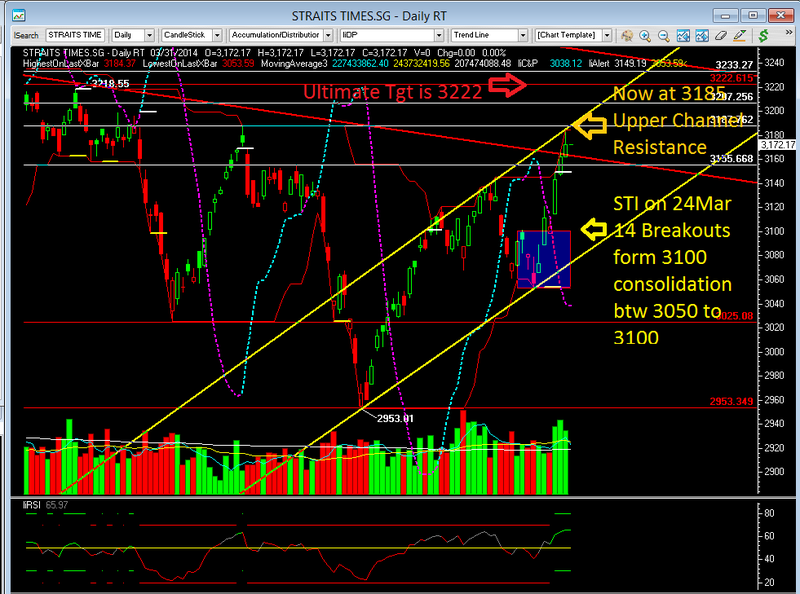 We are expecting STI to hit the ultimate target at 3222. Time to sell into strength.